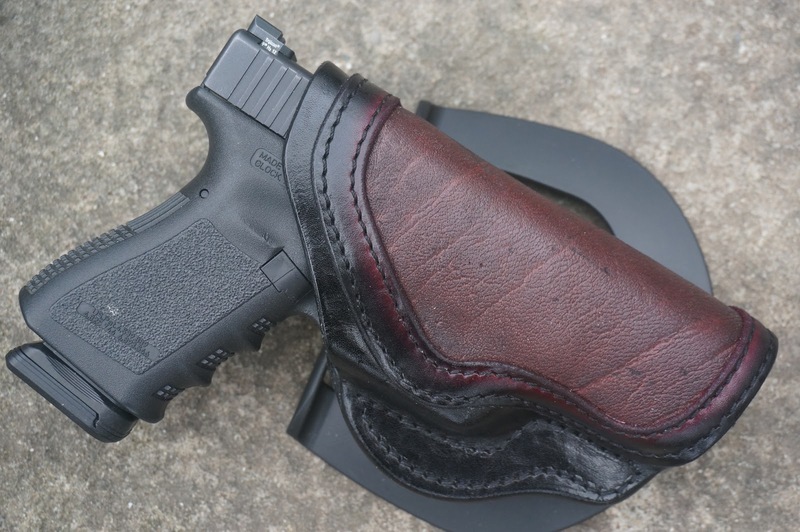 At NRAAM last year I got to talking with Dennis from Dragon Leatherworks and he mentioned he had a tiny bit of cape buffalo hide left over from a special project, maybe enough for one holster. 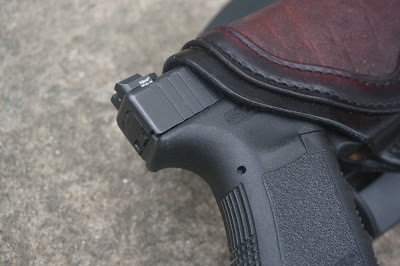 I got to thinking that I didn't have a "barbecue holster" for special events, like Blogorado, and so I asked Dennis if he could maybe help a sister out. Not too much later, this Valkyrie paddle holster arrived in the mail. It's set up as a paddle rig, but has mounting hardware that allows the paddle to be switched out for Blackhawk! belt loops as well. 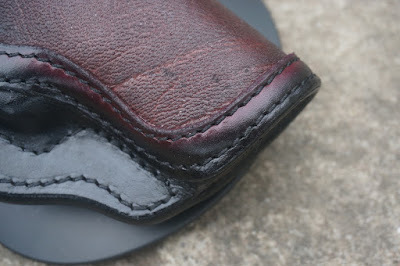 The stitching is rugged and neatly done and the edges of the leather are well-burnished. While you wouldn't want to roll through a 2-on-1 evo in ECQC with a presentation-grade rig like this, it still has to serve the basic functions of a holster. 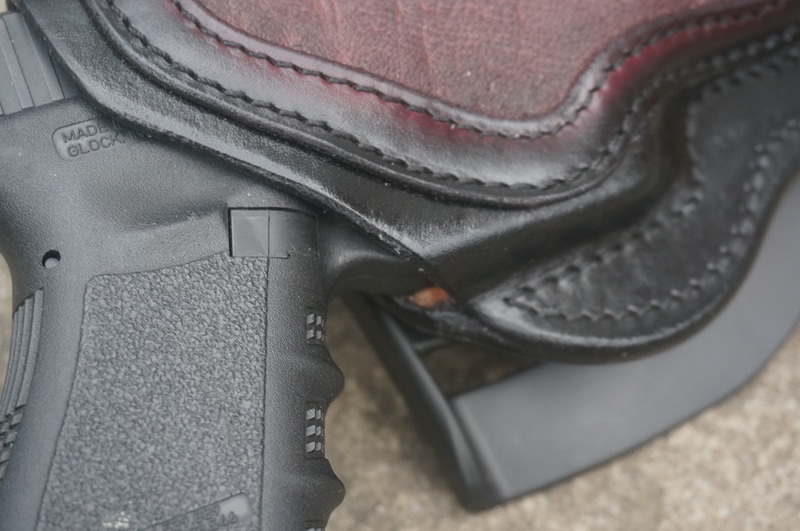 The fit is snug enough that the holster can be inverted and shaken a bit without the pistol falling free, so it's not going to bounce out with any sort of normal activity. Also, it's properly cut to allow the user to achieve a full firing grip on the holstered pistol as part of a proper drawstroke. Heavy leather and good stitching make for a holster that can be handed down. If you're looking for a Sunday-go-to-meetin' holster to showcase your taste in blasters at gatherings with friends, give Dennis a call and he can set you up with a holster you'd be proud to be seen wearing. States' Rights are cool except when they're not. Justice Dep't to go after legal pot? The Place Where Great Britain Used To Be. The Two Minutes Hate stops for nothing. Late to the party, but better late than never.